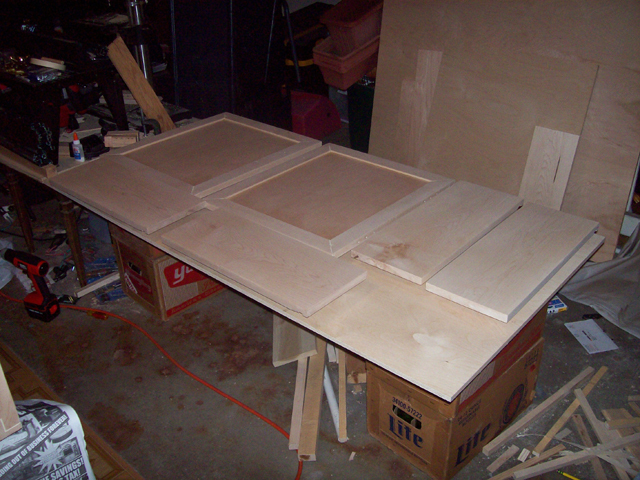 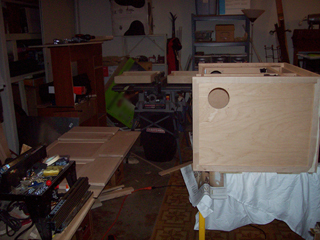 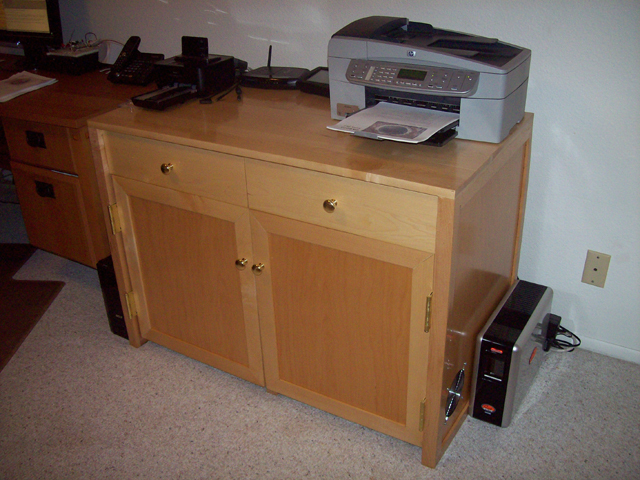 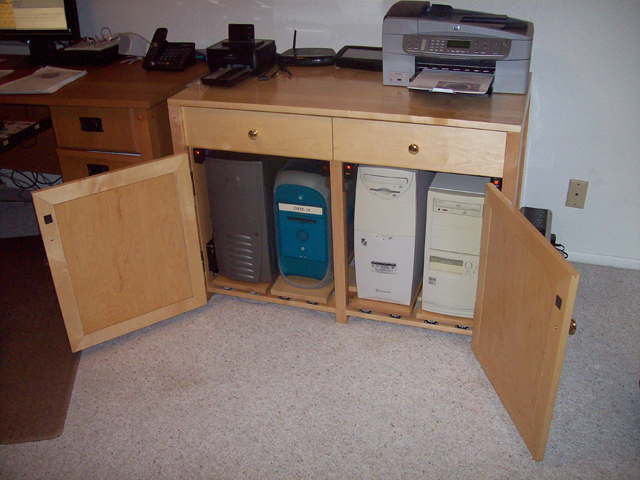 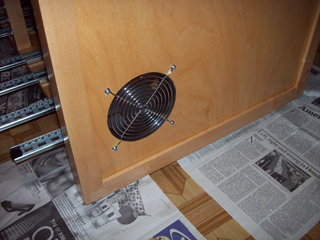 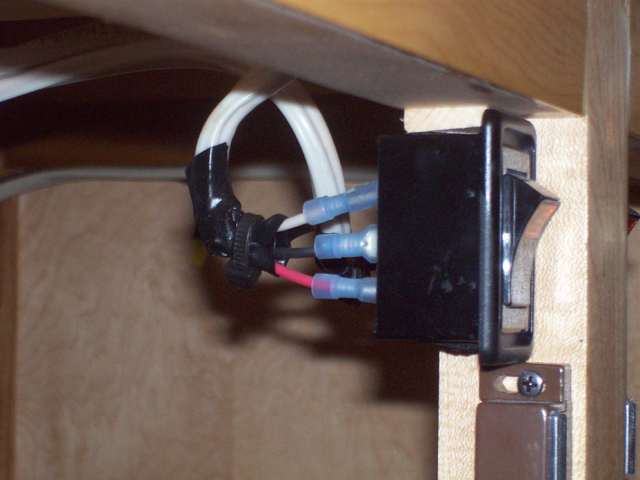 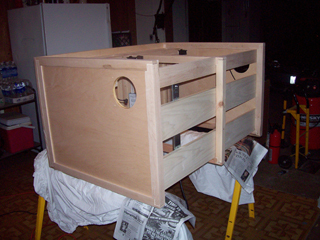 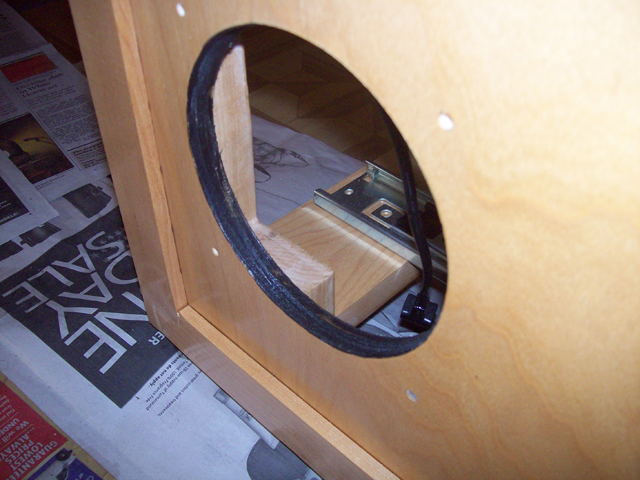 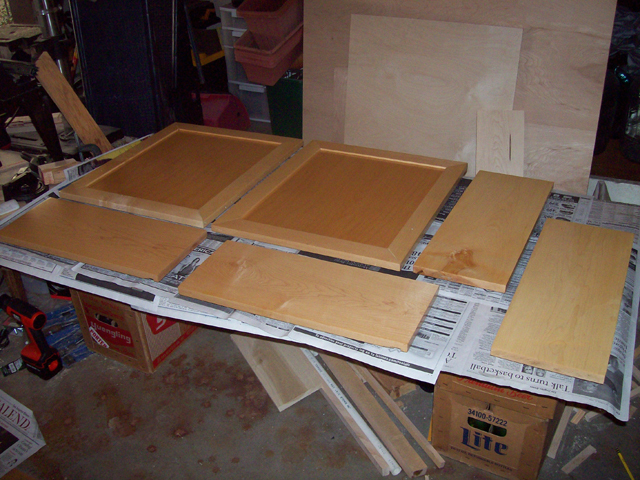 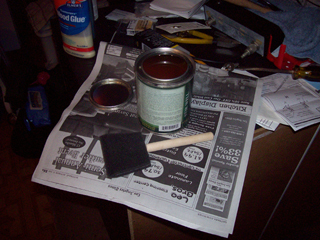 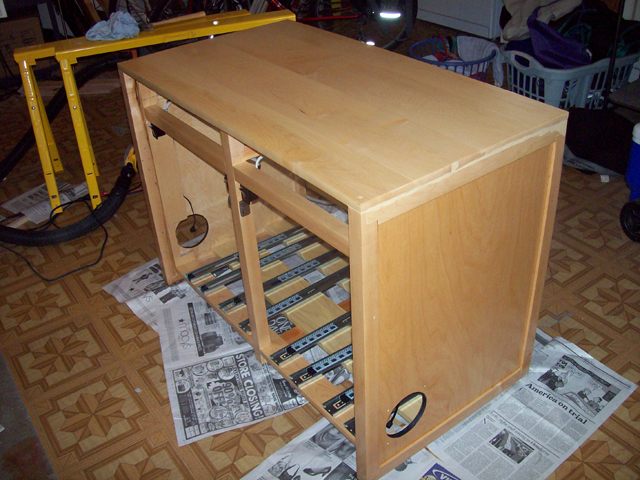 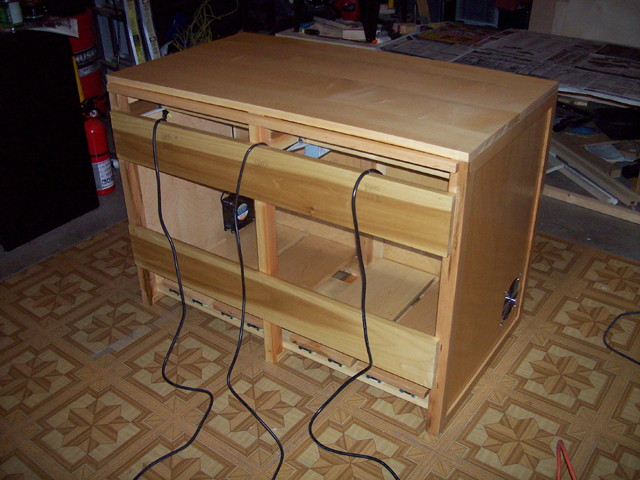 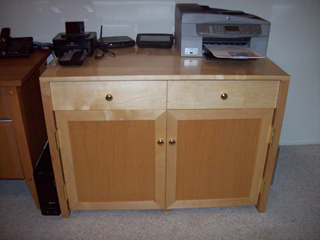 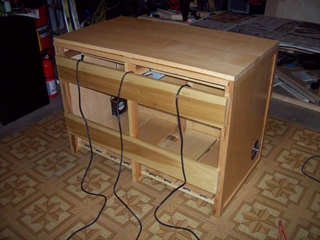 This page documents the finishing and reassembly of the cabinet. 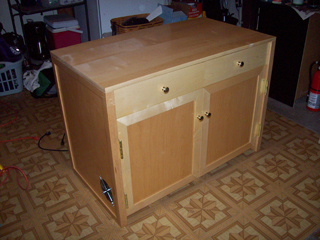 This is the last step in completing the cabinet. It has taken over year to get to this point, mainly due to time constraints and the fact that cabinetry is not my main profession or my only hobby, but I feel it is well worth the effort as I have learned a lot and have constructed exactly what I wanted. 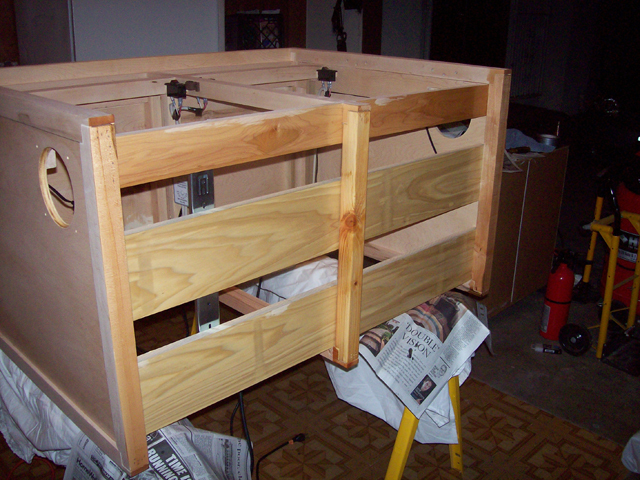 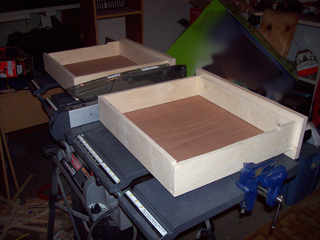 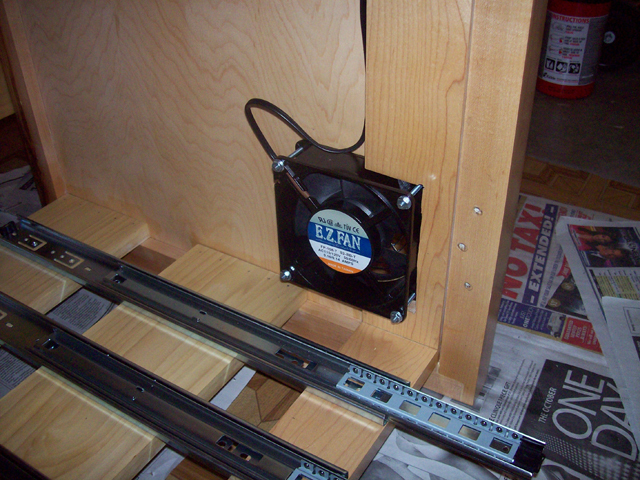 View of the drawers after the rails were removed and sanded for finish. 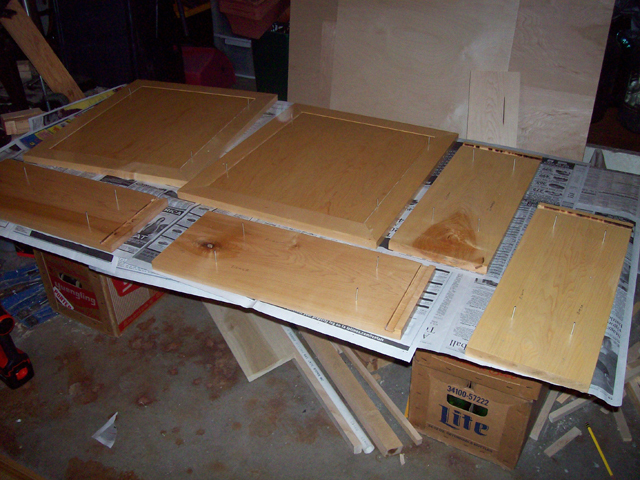 View of the doors and shelves, sanded and ready to finish.